My Winnipeg is a profile of a city and it is a documentary. It is a fantasy, a cinematic reverie. Most significantly it is a journey along Guy Maddin’s sidewalk, as he traces his steps past the vestiges of snow fossils, through the memories of his youth in a dark world filled with the soft haze of spiralling snowflakes. Our memories are inevitably a façade in one way or another, a splintered scaffold of reality padded out with lies and half-truths, fantasies and fiction. Vivid dreams or profound experiences of art begin to bleed into our own lives: we remember a film from our childhood as though we lived it, and the daydreaming of our school days becomes more real than the lessons we learnt in class. Like last year’s Stories We Tell, Maddin’s 2007 feature reflects upon the falsity of memory as he delves into his own past, and like Sarah Polley’s film, it has no particular interest in nailing down some nebulous idea of “truth” within its exploration. When I visualise incomplete memories of my childhood, the images are filtered through the pop culture that obsessed me at the time: angular, neon-green videogames and fuzzy, brightly-coloured television programmes. My mental snapshot of my youth is often through a haze of UHF static – my experiential memories conflated with my visual fascinations. If My Winnipeg represents some kind of window into Maddin’s psyche, then his memories have been wafted through silent film and woodcut animation. His striking, stylised recreation of those aesthetics – as he tells stories of his family, of Winnipeg’s history (true, false and somewhere in between) – feels somehow truer than stock footage of the actual events ever could, conveyed with his trademark abstract absurdism. There is archival footage here, too. 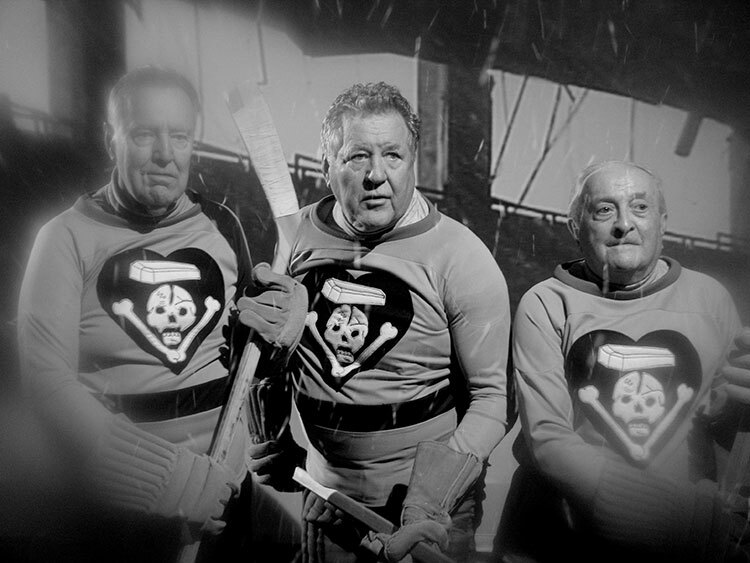 The film’s most memorable and affective sequence is an extended reflection on the role of an ice hockey stadium for both Maddin and Winnipeg. The camera roves through decrepit rooms as Maddin – who narrates the film with a commanding, reflective tone that reminded me of Maurice LaMarche – tells a tale of his birth within the stadium (presumably fictional, though that’s beside the point). As we watch grainy footage of the arena’s demolition, we recognise that what’s being destroyed is a part of Maddin … and when the hypothetical fable he constructs of elderly hockey players is screened over that same footage, we understand that this fantasy can’t entirely paper over his sense of loss. It’s a poignant, unique portrayal of childhood, family, place embedded in specificity – Winnipeg’s troubled relationship with sport, commerce and progress a backdrop for one man’s self-reflection. My Winnipeg finds poetry, raw emotion and irreverent humour as it “walks backwards and forwards in winter’s time.” It’s as though Maddin has been shaken and tipped over, his memories tumbling into the swirling concoction of reality, mimesis and fiction that is cinema. Sounds fascinating! I will see it at some point. I think you’d like this — definitely hunt it down!